What was your experience the last time you stayed in a hotel? For many people, a stay in a hotel means having to interact with crowds of people and put up with their noise, their messes and the inconveniences of bumping elbows with other tourists. Then there's the intrusive hotel staff and daily housekeeping. How about a stay in a bed and breakfast? Staying in an owner occupied home could mean you're stuck looking at someone's old vacation photos or hearing stories about their kids and pets when all you really want to do is relax. No thanks. If those options don't sound like your idea of a vacation, head north to the cabins in Helen, GA instead. Enjoy your time away from home by enjoying that time on your own. Don't share your vacation with strangers around every corner. Quality cabin rentals in Helen, Georgia can help you choose a cabin with the right amount of privacy for you and the folks you're on vacation with. Most cabins are situated far from neighbors so you don't have to listen to them and they don't have to listen to you. You can step out onto the deck in the morning and enjoy nothing but the sound of birds, water and the natural surroundings of the Appalachian foothills. Private cabins in Helen, Georgia also mean you won't have to put up with the noises and distractions of people staying in the next room. If it's peace and quiet you want, it is peace and quiet you will get. Having a little privacy on vacation makes your time away that much more relaxing and refreshing. Instead of changing your vacation plans to meet the needs of the place you're staying at, you get to set the schedule and the pace of your vacation. 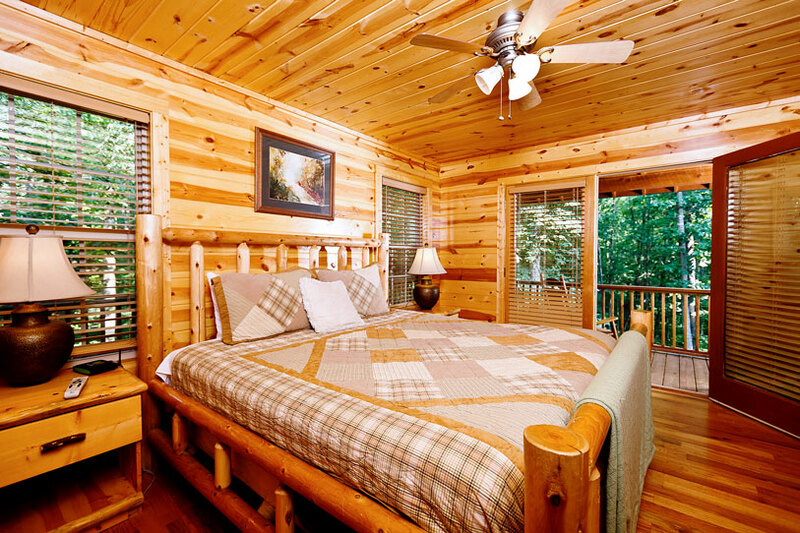 Enjoy your time of rest and relaxation at one of our Georgia Mountain Cabin Rentals. Visiting northern Georgia is a magical vacation experience. The rugged beauty of the Appalachian foothills and the enduring charm of the small mountain communities bring people back to this area time and time again to relax, renew and feel refreshed in their lives. And while there are several cabin rental options available in northern Georgia, staying in the cabins in Helen has distinct advantages over staying in the Blue Ridge Mountain Cabin Rentals. Another benefit of the cabins in Helen is the town of Helen itself. 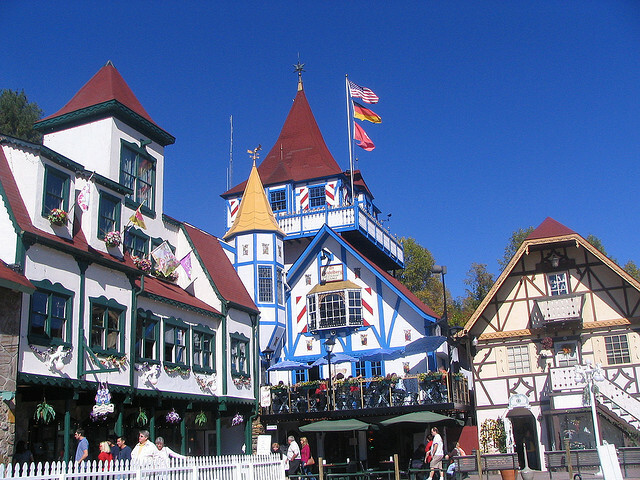 This town is a full recreation of an alpine Bavarian village complete with cobblestone alleys and turreted towers. Each store, restaurant and building adheres to a design code giving Helen an Old World flavor. You can find authentic German fare, enjoy the month-long Oktoberfest celebration or shop in the traditional Christkindlmarkt. Helen lies at that critical point between the metropolis of Atlanta and the northern wilderness of the Blue Ridge Mountains. This town sits right on the edge of the Chattahoochee National Forest and you can gain access to this area via several highways and roads. It takes just about 90 minutes to drive from the center of Atlanta to Helen. To get to Blue Ridge, you have to drive through the forest on one of just two roads that lead to Blue Ridge. 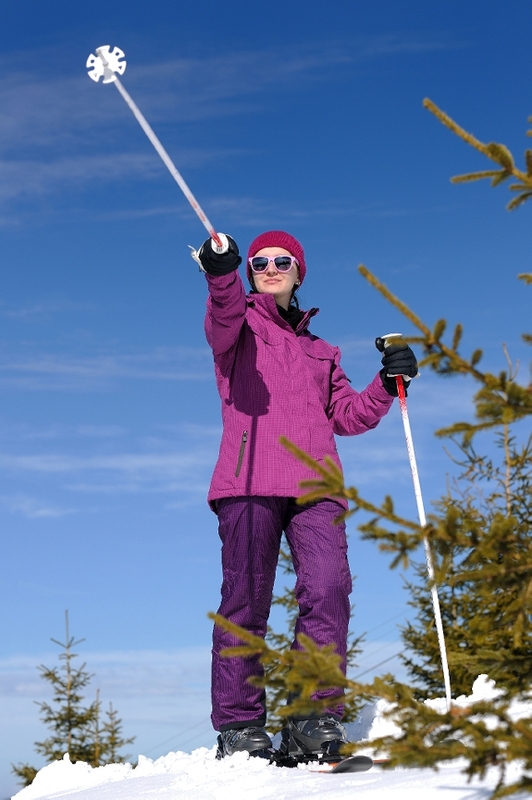 Cabins in Helen give you unprecedented access to all kinds of outdoor recreational activities. The Chattahoochee National Forest is just outside your front door where hiking, mountain biking and horse back riding opportunities abound. The stunning double waterfall of Anna Ruby Falls, a popular hiking and scenic destination, is located just outside of Helen. The Chattahoochee River also intersects with the town of Helen providing opportunities to raft, kayak and tube down this river. 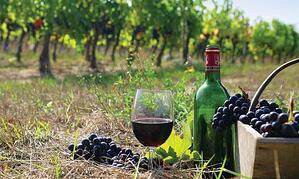 The Georgia wine country is growing both in prestige and popularity. You will be within extremely close proximity of at least seven of these great Georgia wineries. Staying in Blue Ridge means you'll have to drive further to access Georgia Wine Country and this is a gem of an area you will want to visit before it becomes as popular as Napa Valley. Visiting northern Georgia is an experience you will want to have again and again. Staying at the cabins in Helen instead of Blue Ridge will make your visit that much more worthwhile. 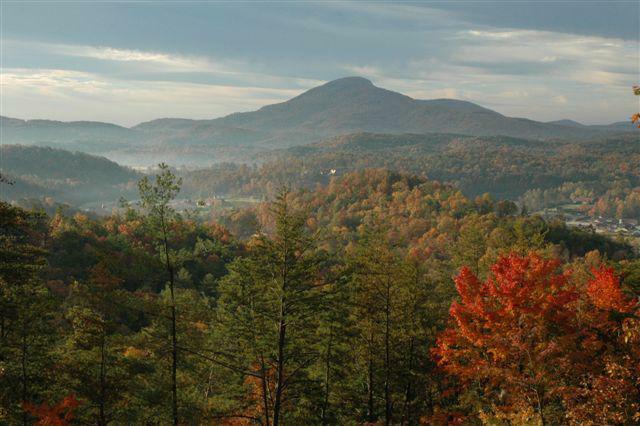 Whether it is for a spring or summer time fishing trip or a visit to Oktoberfest festivities when you can also enjoy autumn foliage you can set your sights on beautiful Alpine Helen, GA to find your home away from home in the Blue Ridge Mountains. But if it is to be your home away from home where do you stay? Indeed, Helen has some nice resort hotels, but another option to achieve that feeling of being home in the mountains is the North GA cabin rentals. Helen GA does have some exquisite resort hotels. Helendorf River Inn: You can truly pamper yourself at the Helendorf while enjoying the atmosphere of the surrounding Chattahoochee National Forest and state parks where outdoor enthusiasts can enjoy activities from fishing to hiking to horseback riding. You can sit on your balcony and enjoy the sounds of nature as the river runs below you. Hofbrau Riverfront Hotel: The Hofbrau Riverfront Hotel offers great accommodations with excellent hospitality. You can enjoy the tranquility of the mountains of Georgia within walking distance of Helens attractions as well as activities such as Oktoberfest, tubing, and fishing. You can admire the beauty of the Chattahoochee River and surrounding landscape from your balcony. Rather than admire it from a balcony you can surround yourself with majestic scenery by booking a rental cabin near Helen GA as your home away from home. Falling Waters: You can treat yourself to the luxury of your own private waterfall tucked away in your own private cabin on five acres. You can admire a one hundred and fifty foot cascading waterfall from almost anywhere in the cabin: the hot tub on the deck, the living room, the bedroom, the kitchen or the Jacuzzi. It can be your own private home away from home where you can soak in the spectacular beauty of the North Georgia surroundings. Sleepy Hollow: Sleepy Hollow can be your own private romantic getaway where you can spend soothing moments in the hot tub on a screened-in porch or you could enjoy romantic evenings by the fireplace. Sit in the Adirondack-style swing and look up at the stars as you listen to the soothing sounds of nature. The cabin even offers an air hockey table for your enjoyment. 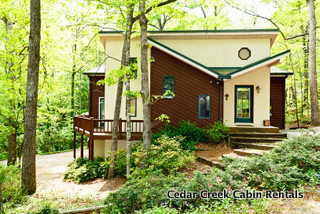 It is a dream getaway not too far outside of Helen GA and close to Unicoi State Park for plenty of active outdoor fun. 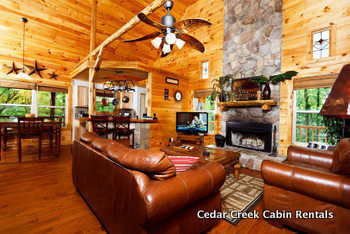 Serenity Falls: This cabin offers two private decks where you can admire the creek. You can relax in the soothing hydrotherapy spa or enjoy a game of pool in the loft. You even have your own private picnic table to enjoy lunch in the natural surroundings. Serenity Falls offers you all the comforts of home plus a little more. When was the last time you closed your eyes and listened to the peaceful sounds of nature in the mountains and tried to identify the calls? Vacationers who choose to stay in a Georgia mountain cabins instead of a Helen Georgia hotels know what delights a quiet night has to offer. They also know that when they sit on the front porch of their mountain cabin enjoying that first cup of coffee in the morning, there is a whole new shift of creatures singing in the trees. It is the reason they return year after year. Renting a luxury cabin instead of staying at Helen Georgia hotels is also a way for family to connect in a way that they never could in the bustle of city life. Under the quiet mountain skies, parents and children can share the joy of peaceful conversations or walks on mountain paths when they are not taking a rafting trip on the rapids, horseback riding or mountain climbing. Many mountain cabins come with amenities like Jacuzzis, hot tubs, fire pits and breathtaking mountain views. All of them, whether cozy or spacious, are luxurious and beautifully furnished. Mountain cabin rentals, as opposed to staying at Helen Georgia hotels, are a great way to enjoy privacy and seclusion. Many vacationers who rent mountain cabins decide to go out for a night of dining or day visiting quaint shops and boutiques. Families may visit the nearby miniature golf course or water park. There are several attractions and museums nearby where vacationers may learn about the area’s history and resources as well as specialty art galleries to suit a variety of interests. 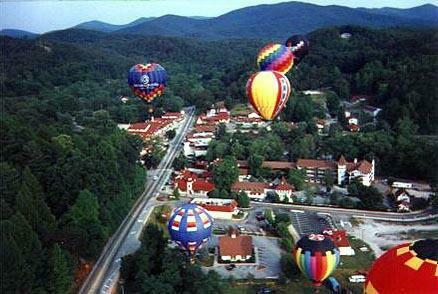 Families who visit in the fall, mid-September through mid-October, will be treated to Okterberfest in Helen, GA. The mountain community fills up fast for this Bavarian revelry where traditional foods, dance and costume prevail. 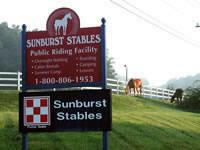 Year round activities include fishing, biking, horseback riding, mountain climbing and hiking. One of many things that you will not be able to do at Helen Georgia hotels is interact with nature. Outside of watching deer feeding on grass in front of your private cabin, there are opportunities to have hands-on experiences with fauna and witness the wonders of other wildlife, in the convenient, woodsy setting surrounding your cabin. When time and energy warrant a day trip. 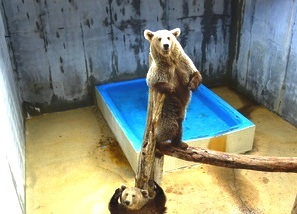 the Black Forest Bear Park allows guests to interact with wildlife in a controlled environment. Watch bears swim in mountain streams and climb trees within their enclosures, or see them up close and feed them. There are also snakes and reptiles and tarantulas to see up close. Learn all about the creatures that call Georgia’s forests and state parks home by taking a guided tour in the Smithqall Woods State Park or go on a nature walk in the Unicoi State Park. When it comes to vacation accommodations, most people automatically book themselves into a hotel. But mountain cabins beat hotels for value, comfort and amenities each and every time. Here's why. When you pay for a hotel room, you only get a bedroom and bathroom. You still have to pay for parking, food in restaurants and entertainmentsince sitting in a hotel room isn't exactly the vacation you probably planned. These all cost extra and make your vacation take a bigger bite out of your wallet. Mountain cabins in Helen Georgia on the other hand, include an entire home with a living room, kitchen, bedrooms, bathrooms, decks — the list goes on. Cabins also come with ready made entertainment in the form of pool tables, home entertainment systems and outdoor recreation just outside the front door. With a kitchen on the premises, you'll also save money (and your waistline) by not eating out at overpriced restaurants for each and every meal. When was the last time you got a good night's sleep at a hotel? The bed and linens are stiff, neighbors on other side keep you up and then housekeeping arrives too early. Plus, hotel rooms are small and cramped with little room to spread out. It just doesn't feel like home. Mountain cabins become a home away from home. You can spread out, settle in and not worry about interruptions or interference from nearby guests or hotel staff. Additionally, most mountain cabins come with those little extra comforts like fireplaces that make a home cozy and warm. Mountain cabins beat hotels when it comes to amenities as well. Have you ever had a pool table in your hotel room? Or a fireplace and jacuzzi tub? With mountain cabins, you get so much more than you would with a hotel room unless you have the means to reserve the penthouse each time. Spacious decks, breathtaking views, luxury fireplaces, bubbling hot tubs make a mountain cabin the ideal spot for a vacation. When it comes to choosing your accommodations for your next trip, don't waste your money on a stuffy, uncomfortable hotel room. Enjoy the value, comfort and amenities of a North Georgia Cabin Rentals instead. Ah, vacation in one of Georgia's Mountain Cabin Rentals... Time to relax in nature and let go of the pressures of home. But what's this? A lumpy mattress, itchy blankets, chipped dinnerware, no hot tub? Don't let this become your next vacation and choose luxury cabins in North Georgia over standard cabins, so you can truly kick back, relax and enjoy yourself. Rustic cabins have their time and place. Sometimes you really do want a bare bones, stripped down experience out in the woods chopping your own firewood and foregoing showers for a few days. But other times, you want a vacation rental with all the luxuries and amenities you can get because you want this vacation to be better than home, a truly relaxing getaway and retreat from your everyday life. If that sounds like the vacation of your dreams, make sure you choose a luxury cabin to suit your needs. Quality cabin rental companies allow vacationers to sort through the many different cabin options available by amenity letting you set the level of luxury you want out of your vacation rental. Is a hot tub your idea of luxury? Or how about a pool table and state of the art audio visual equipment for some weekend entertainment? Some people measure luxury by the size of the master bathroom and bathtub, while others look for amazing views from a beautiful deck. When looking for a luxury cabin, choose a rental company that has virtual tours of cabins or several picture slide shows to give you a real feel for what the cabin is like. When you venture out into the great outdoors next time, don't forget about how great the indoors can be, too, and choose a luxury cabin rental. Have you been thinking about planning a trip to Helen, Georgia? As one of the most popular vacation destinations in the southeastern United States, Helen draws an average of 2 million visitors each and every year. The area is filled with a wide range of attractions, state parks, activities, events, and so much more. Because it's such a hot spot for getaways, there are plenty of lodging options in Helen. Which is the right choice for you? It's important to consider your needs, and compare the differences between your various choices before coming to a decision. This guide will help you to find the right place to stay. For many vacationers, a stay in a hotel or motel is the "go to" option. Most people are familiar with staying in accommodations like these, and feel fairly comfortable in doing so. The Helen area offers a wide variety of hotels and motels, ranging from simplistic and low-cost, to more high-end and expensive. On the low end of things, visitors may find a hotel for as little as $60 a night. If you are only staying in Helen for a short period of time or if your group is small, this may work well for you and your budget. It's important to keep in mind, though, that staying in a more affordable hotel will generally mean that you will be located further from the major attractions found inside of Helen, which will increase your commute to and from the places that you wish to visit. You can also expect that you will not have as many amenities or as much space as you would have in a pricer hotel. Moving up the scale to a more luxurious hotel will enable you to have a bit more room to spread out, and will provide you with more creature comforts than a cheaper motel. You may be able to find a hotel suite with both a sleeping area, as well as a living area. It is possible to find a hotel with a mini refrigerator, or a small kitchenette so that you can prepare some meals. Generally, you should expect accommodations like these to cost at least $100 per night, or more. For a more intimate and private experience, you might think about booking a stay at a local Helen bed and breakfast. These quaint accommodations are usually ideal for couples who are looking for quieter lodging and for the experience of mingling with other couples and guests. Depending on the bed and breakfast that you select, you may be able to enjoy activities put on by the facility each day. Of course, you will also be able to wake up to a prepared breakfast buffet each morning. Expect to pay between $150-$250 per night. Another popular choice when visiting Helen is a stay in a local cabin. While some vacationers tend to prefer a more rustic experience, others will enjoy staying in a luxury cabin rental with incredible mountain or waterfall views. For obvious reasons, a more rustic cabin will be much cheaper than one that is filled with amenities. Outdoor enthusiasts may get a thrill at the idea of "roughing it" or "going back to the basics" in a simplistic one room cabin without electricity. This will provide you with the opportunity to get up close and personal with nature and to find other ways to entertain yourself than by watching TV or browsing the Internet. 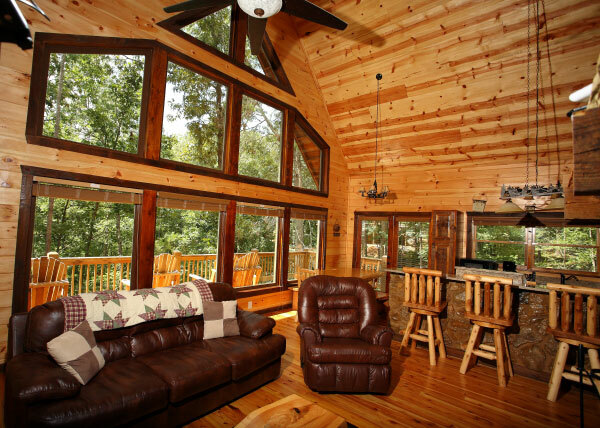 Luxury cabin rentals are available to those who are looking for a "home away from home" while visiting Helen. Lush cabins, like those rented out by Cedar Creek Cabin Rentals, may be situated in Helen, or further out, depending on what you need. For approximately $300 per night, you can enjoy multiple bedrooms, a fully equipped modern kitchen, electricity, climate control, Internet access, hot running water, game tables, a hot tub, and so much more. If you are really hoping to enjoy the great outdoors, you might want to consider camping during your visit to Helen. Local parks, like Unicoi State Park, rent out very affordable campsites for those looking to stay in a tent or to hook up their RV. Sleeping on the ground with the sounds and scents of nature around you will make you truly appreciate the beauty of northern Georgia. You'll be front and center for hiking opportunities and other outdoor attractions within the park, and will be relatively close to downtown Helen, depending on which camp site you select. Be sure to do your research on how to remain safe while camping in wooded areas. Camping fees will generally range from $28 to $53 per night. Where do you plan to say when you visit Helen, Georgia? Do you love spending time in the mountains? Filled with infinite possibilities for spending time in the great outdoors and enjoying local attractions, both northern Georgia (home to the Appalachian Mountains) and Tennessee (home to the Smoky Mountains) are both hot spots for travelers who are looking to get away from the city and enjoy the beauty of nature. Although making a choice about which to visit may seem overwhelming and difficult, when broken down, it's a lot easier to make the right decision. Here's a comparison of your two options. North Georgia Mountains - When you visit the North Georgia mountains, you are guaranteed to get the most value for your dollar. The greater Helen area, for example, is well known for entertaining and delighting visitors of all ages. The Alpine Village will transport you to another place in time, as you are charmed by both southern hospitality and a Bavarian theme throughout the city. Window shopping, panning for gold, hiking, biking, fishing, annual events, and more will ensure that you never have a dull moment. Tennessee Mountains - The Smokies of Tennessee will keep visitors entertained with opportunities to visit waterfalls, go hiking, enjoy outdoor sports, explore caves, visit small local towns, and more. North Georgia Mountains - Visiting northern Georgia can work for any budget. Basic hotels are available throughout the city of Helen and surrounding areas for $60 a night, but more high-end accommodations will cost $100+ each night. For a luxurious experience that still puts you in the heart of nature, you should consider staying in a lush cabin rental. Although these cost more, at approximately $300 a night, you'll enjoy many more incredible amenities and can save money by cooking meals in your cabin. Your costs for attractions and activities will vary, based upon what you choose to do, but by planning ahead you can anticipate the total cost of your trip. Tennessee Mountains - Prices are quite comparable between visiting the Appalachians of GA and the Smokies of TN. Hotels will range from $60-$100+ per night. A rustic cabin may cost approximately $100 a night, and a luxury cabin rental may range from $250-$300 each night. Meal and attraction costs should also be considered when planning your budget. North Georgia Mountains - The Alpine village of Helen is extremely family friendly, offering a wide range of attractions and events that are designed to promote togetherness. 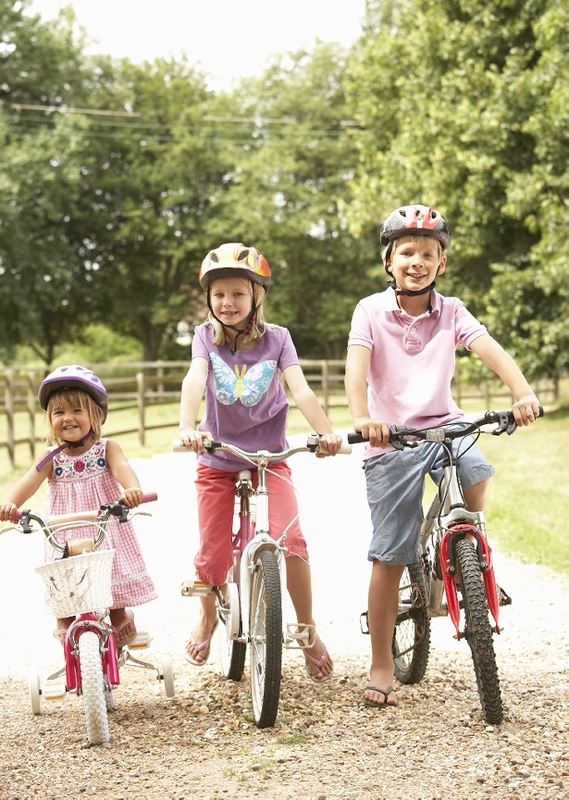 Whether you're hiking to a local waterfall, renting Surrey bikes together, going on a tubing adventure, or playing mini-golf, everyone is sure to have a great time playing and exploring together. Tennessee Mountains - Families who truly enjoy the great outdoors will love the bonding experience of exploring trails within Great Smoky Mountains National Park, visiting waterfalls, fishing, and more. 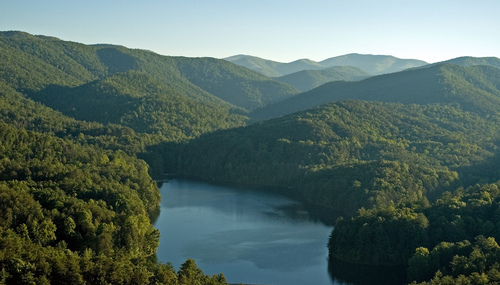 North Georgia Mountains - Visitors will have their pick of a wide range of activities, ranging from free of charge to moderately priced. Whether you are a more laid-back group that just wants to check out the local hiking trails and go fishing in the Chattahoochee river, or if you'd like the adventure of kayaking or going on a zipline tour, you'll find what you're looking for in the North Georgia mountains. Tennessee Mountains - Depending on which part of the Smoky Mountains that you choose to visit, you may find opportunities to hike, go mountain biking, go skiing, visit a theme park, pan for gold, enjoy water sports, etc. Whereas the Helen area of northern Georgia is home to a wide range of activities, you may need to travel from town to town to find what it is that you are looking for in Tennessee. North Georgia Mountains - The North Georgia mountains can easily and safely be accessed from Atlanta via the I-84 and GA-400. The approximately 90 mile trip is very simple and should give you no problems at all. Tennessee Mountains - Getting to the Smokies in Tennessee will require a bit longer of a trip. 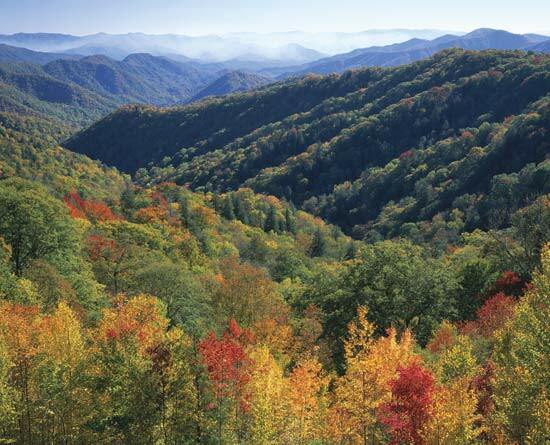 Visiting Great Smoky Mountains National Park, for example, can be accomplished by traveling on the US-44 for approximately 200 miles. North Georgia Mountains - The North Georgia mountains are generally busiest during the summer months, so if you do not enjoy crowds, plan on visiting during a different time of year. If you are hoping to stay in the Helen area, you should also be aware that Oktoberfest takes place between the middle of September and the end of October, so it will be busier then, as well. Tennessee Mountains - As with North Georgia, peak season will extend through the summer months, so for more privacy, consider a visit during another time of the year. Which do you prefer - the North Georgia mountains or the Tennessee mountains? For those who love the mountains, the decision between visiting western North Carolina and northern Georgia may be a bit difficult. Both are home to the Appalachian Mountains - the highest mountains East of the Mississippi, and both have numerous things to do and see, but which is the best choice for you and your family? It's only when you compare the different aspects of both options side by side that you can make an educated decision. North Georgia Mountains Those who visit the North Georgia mountains will never experience a dull moment. 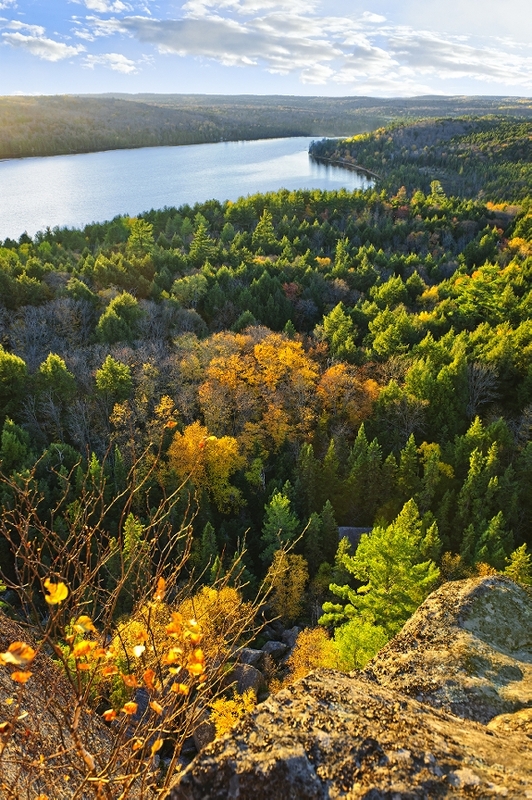 Outdoor enthusiasts will love hiking, canoeing, fishing, and exploring. Thrill-seekers will have the ability to go mountain biking, rock rappelling, kayaking through white water rapids, or on a zipline tour. Shoppers will have a great time checking out the numerous antique and specialty stores, whereas couples may like to enjoy a sensual massage, or visiting a local winery. And, of course, there are numerous museums and attractions for families to visit together. North Carolina Mountains There's plenty of things for visitors to do in western North Carolina, as well. 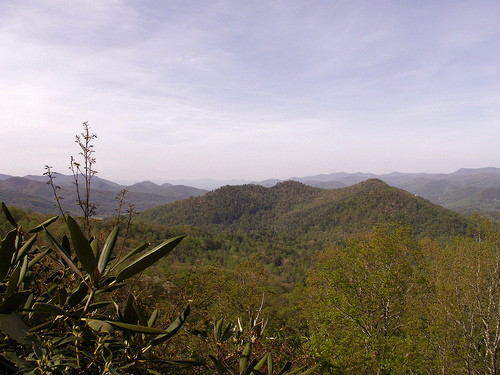 The western portion of the state features the Blue Ridge Mountain Range, which also passes through northern Georgia. Here, you will have the opportunity to hike, get out on the water at New River or Lake Lure, cruise the scenic Blue Ridge Highway, explore local wineries, pan for gold, or learn about the region by visiting various historic sites. North Georgia Mountains It's easy to book a getaway in North Georgia on any budget. You'll have the option of staying in a hotel for between $60-$100+ per night, or renting a luxurious and spacious cabin for approximately $300 nightly. Many of the local activities and attractions are low cost, and some are free. Don't forget to account for meals. You can save money by staying in a cabin with a fully equipped kitchen and preparing your own food. North Carolina Mountains The cost to stay in a hotel in the North Carolina mountains is comparable to North Georgia, ranging from $60-$100+ per night. 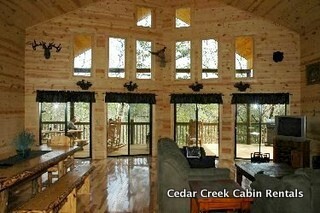 Cabin rentals are also available, ranging from $150-$300 per night, based upon how modern and luxurious the facility is. As with any other vacation, the attractions that you choose to visit and activities that you do will depend on how much they cost, and how much you would like to spend. If you're hoping to cut down your meal costs, plan to book accommodations with a kitchen. North Georgia Mountains Although the North Georgia mountains are fun for people of all ages, the majority of the local attractions are extremely family friendly. Embarking on adventures, playing, exploring, and learning together will help your family to bond and create memories that will last for a lifetime. North Carolina Mountains You'll find plenty of family friendly activities in the North Carolina mountains. As many of these involve outdoor sports and exploration, though, it's wise to gauge how age-appropriate your desired activities are. North Georgia Mountains There's no shortage of activities available in the North Georgia mountains. You'll have your pick between checking out museums, hiking, biking, horseback riding, playing Alpine mini-golf, tubing, fishing, attending special events and festivals, and so much more. North Carolina Mountains The North Carolina mountains offer activities like skiing, tubing, water sports, fishing, hiking, biking, horseback riding, etc. North Georgia Mountains Accessing the North Georgia mountains is actually much easier than it sounds - even if you're not familiar with driving in mountainous terrain. 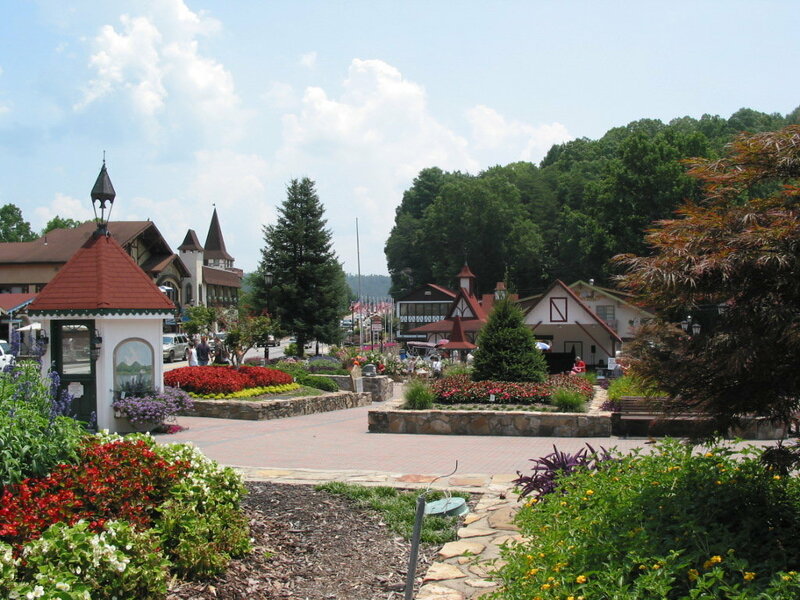 The Alpine village of Helen is located just 90 miles north of Atlanta. A simple drive up the I-84 and GA-400 will get you there quickly, and without any obstacles. North Carolina Mountains The North Carolina mountains are a bit further from Atlanta than the North Georgia mountains, at 130 miles, but the drive is fairly straightforward and simple on the US-23. North Georgia Mountains When you choose to visit the North Georgia mountains will depend on how much quiet or activity you prefer during your trip. Peak seasons generally include the summer months, and mid-September through the end of October when the annual Oktoberfest celebration is taking place. Other months will generally not be as busy. Regardless of when you come, though, you can find peace, privacy, and quiet in a secluded mountain cabin. North Carolina Mountains Peak season for the North Carolina mountains is during the summer, so if you prefer a more quiet vacation, make plans to visit during a different time of year. As with North Georgia, staying in a cabin can improve peace and privacy. 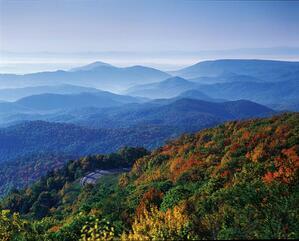 Where will you be headed on your next getaway - the West North Carolina mountains, or the North Georgia mountains? You could be just a few hours away from gold. Well, maybe not this much gold, but you never know. There is gold panning available in the Georgia mountains by Helen, GA and other quaint mountain towns like Dahlonega. Yes, people actually do find gold in them there hills. Both towns are fantastic short weekend or weekday jaunts. South Carolina has terrific spots for us Georgians to visit when we want to get out of dodge and we hope you feel the same. Helen, GA is a must visit along your way. Grab yourself some of the best bratwurst and knockwurst around, then top it off with some fudge at Hansel and Gretel's place. So now that we made you rich and filled you up with brats and chocolate, it's time to kick back in one of many North GA cabin rentals to relax. Hope you can walk a trail or two first, but if not, what the hey, just chill out in your hot tub and forget about it, right? After all, you're on vacation for a few days, so you may as well enjoy it. Everyone knows that the mountains are a beautiful and fun spot for an enjoyable north Georgia vacation. The area is filled with charming and quaint towns, which feature kind-hearted locals, incredible views, and lots of fun attractions. But when you've only got enough time to steal away to one spot for your family getaway, you've got to be able to decided which place is right for you: Helen or Ellijay. What's the difference between the two cities, anyway, and what can you expect from a trip to each? To help simplify your decision, we've broken down some of the major factors that go into planning a vacation, from entertainment, to cost, and everything in between. Helen - No matter what time of year you decide to embark on your north Georgia vacation, you're sure to have a blast in Helen. During the warmer months, travelers love to get wet by tubing together, kayaking, or visiting a local swimming hole. This is also a great time to enjoy a hike, in search of local wildflowers and native animals. When the weather cools off, vacationers like to take short day-trips from the cabin to visit nearby snow parks where they can go snow tubing, sledding, skiing, snow boarding, or just play. The wintertime also brings holiday parades, the festival of tress, and Christkindlmarkt. Other attractions, like bike tours, carriage tours, zipline canopy tours, horseback riding, museums, gold mining, and more, are available for families to visit and enjoy throughout the year. Ellijay is home to many interesting spots to visit, and things to try. Those who are looking to get a real rush, be sure to bring your bathing suits and make the trip to the Cartecay River Experience. This tubing adventure takes the sport to a new level, with faster currents, small rapids, winding bends, and even a drop off of a waterfall. You may also choose to rent kayaks or canoes at this location. Fishermen will delight in teaching their children the sport and spending a day on the water with Reel 'em In Guide Service. For something a bit more laid back, plan a visit to Hillcrest Orchards, where you can pick fruit, visit the store, play on a playground, walk the orchards, or visit the on-site museums. Tabor-House and Civil War Museum is another "must" for history buffs. And if you're coming during the fall, be sure to attend the Apple Festival, which is held in October of each year. Ellijay - Visitors to Ellijay may choose to stay in a hotel, or in a cabin. Generally speaking, hotels will cost approximately $60-$100 per night, depending on your exact requirements. 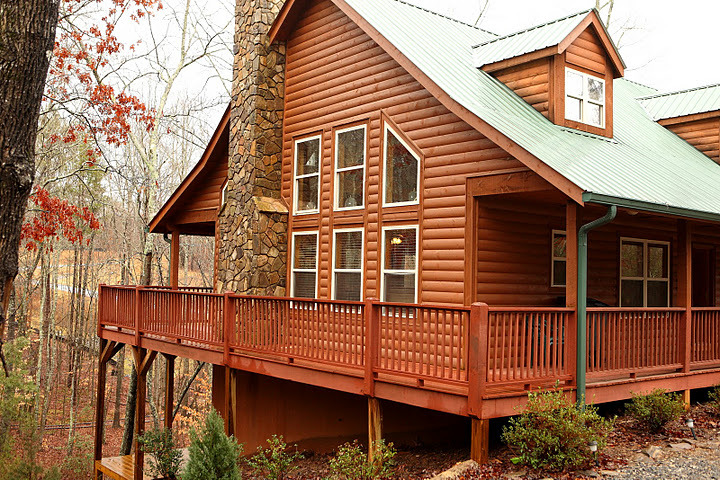 Cabin stays are quite popular in Ellijay, and costs will vary, based upon how many bedrooms you would like, the types of amenities you require, and if you would like a waterfront or mountain view. For a family of four, you should plan on spending between $180-$300 per night on your rental. Activities like window shopping and hiking may be free, but remember to factor in the "per person" costs for attractions like the River experience, or museum admissions. Helen - Those who make Helen the spot for their north Georgia vacation will have the option of either staying in a hotel, or staying in a cabin. Depending on where you book your hotel, and the size of your room or suite, you will pay anywhere between $60-$100 per night. Staying in a cabin will be a bit pricier, at approximately $300 per night, but families will enjoy more space and amenities. The good news is that a cabin with a game room, hot tub, or fire pit, or that is located along a creek or waterfall, can provide you with free activities to do. Having your own kitchen will also cut back on meal expenses. You'll also find numerous free attractions throughout the Helen area, but the costs for activities like water/snow sports, tours, and panning for gold will vary. Helen - Helen was made for families to relax and play together. Whether you have younger children, older kids, or both, you will be able to keep them entertained. Stay competitive by going head-to-head during a round of Alpine mini golf before picnicking at the highest point in Georgia - Brasstown Bald. Teens may want to hike to the top, but little ones may prefer to take the tram. From here, you can see four states at once - a great learning experience for kids! There are adventures to be had by youngsters, big thrills or older children, and tons of new things for everyone to learn - big and small. Ellijay - Although Ellijay is a family friendly north Georgia vacation spot, it is generally better suited to older children. Activities like local history museums, farms, or the apple orchard may not hold the interest of very young children or toddlers. In addition, the Cartecay River Experience means swift water tubing, which can be frightening to little ones. Take the time to assess the ages of your children, and how suitable these activities would be for them. Ellijay - When planning a north Georgia vacation, it's always in your best interest to give yourself a few days. This is because you need plenty of time to explore the area, and visit all of the attractions that you would like without feeling rushed or overwhelmed. Remember, your getaway is about relaxing and renewing yourself - not running yourself ragged. Most guests will find that they can experience all of the highlights of the Ellijay area over the course of a weekend. Helen - There's a lot to experience in Helen, so we recommend making your north Georgia vacation last for at least 3 days and 2 full nights. This will ensure that you can see all that you want to see, without having to cram too many activities in one day. You may find, though, that you need even more time in the area in order to get the full "Helen Experience". Helen - Located just under 2 hours north of Atlanta, Helen is very simple to access. The drive along the GA 400 and Interstate 85 is extremely simple, even for those travelers who are unfamiliar with the area. You'll find that it is just a stone's throw away from neighboring areas, like Nacoochee-Sautee and Dahlonega, making nearby attractions very accessible, as well. Ellijay - Ellijay is situated 78 miles north of Atlanta, making the trip just under 1.5 hours. The city can be accessed via Interstate 75 and Interstate 575. Although further from Dahlonega than Helen, scenic Blueridge is quite accessible from Ellijay. No matter where you decide to go on your north Georgia vacation, you're sure to have a wonderful time enjoying the sights and sounds around you with your family. 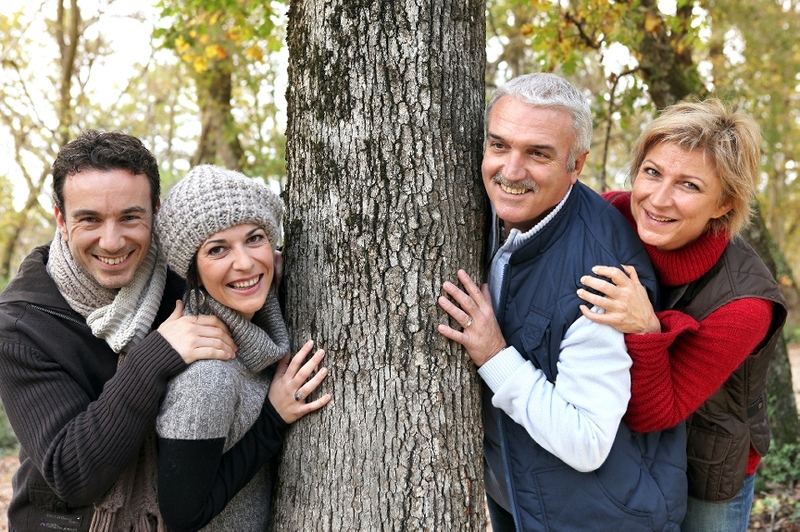 By taking the time to compare and contrast between two popular destinations like Helen and Ellijay, you will find that it is far easier to plan a vacation that will allow your family to have fun, and connect with one another. Which of these two cities do you think would be best for you and your loved ones? 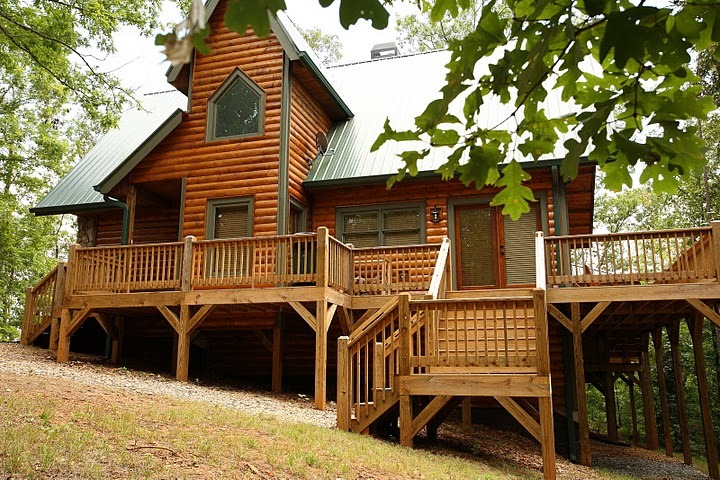 Whether it is for a short fishing trip with friends, a family vacation, or a romantic getaway for couples North Georgia has a lot to offer in rental cabins that have all the comforts of home with the backdrop of the Appalachian and Blue Ridge Mountain Ranges. Whether you choose Ellijay cabin rentals or beautiful Helen Ga Cabin Rentals - you will find the escape you are looking for. What do Helen, Georgia Cabin Rentals have to offer? Enjoy a romantic getaway at Bella Vista. This cabin offers beautiful mountain views by day and romantic views of the Helen city lights in the distance underneath a sky full of stars at night. Helens attractions are easily accessible, but Bella Vista offers a chance to getaway from the rest of the world. Amenities include a Jacuzzi tub with a waterfall, pool table, three stereo TVs, and satellite radio. It also has the added attraction of an outdoor spa with magnificent mountain views. Autumn Ridge offers you privacy with majestic views of the mountains. Visit Autumn Ridge for either a great family vacation spot or a wonderful romantic mountain getaway. 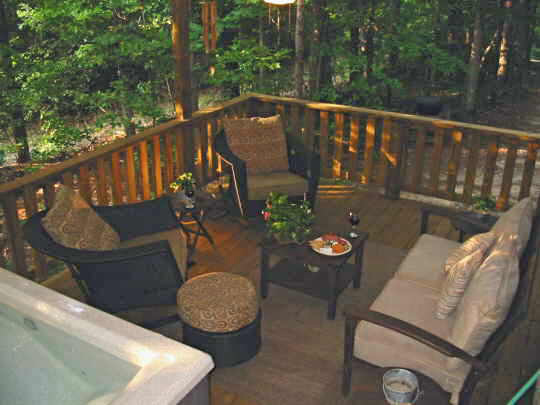 Enjoy the views on one of the cabins two decks to watch the evening sunset or relax in the hot tub on the covered patio. You can plan a romantic getaway in nearby Helen, Georgia before returning to spend an evening by the fireplace. The kitchen is fully equipped and other cabin amenities include a large screen satellite TV and a pool table. Daylight offers a wealth of outdoor activities including trout fishing in one of the nearby rivers to horseback riding. 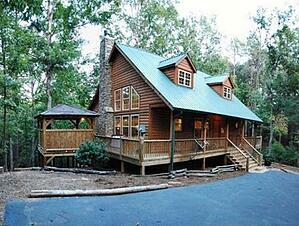 What is available in Ellijay Rental Cabins? Choose a dream vacation get-away in the Secret Garden Treehouse. 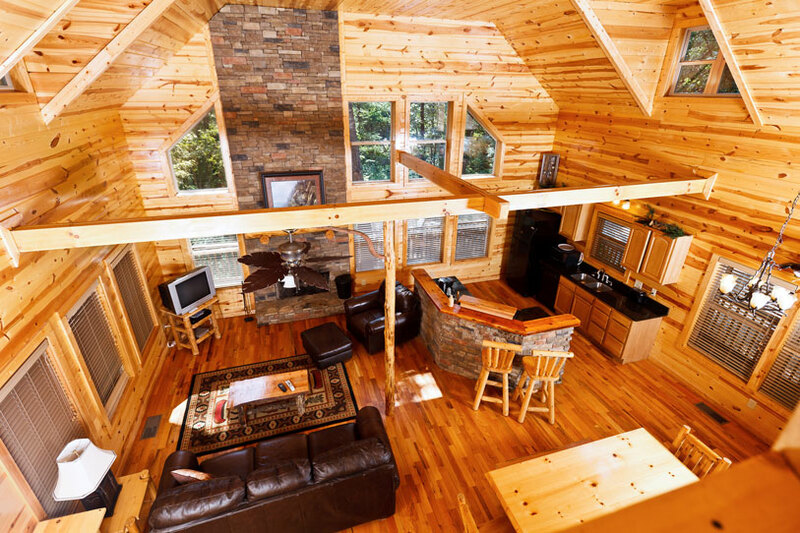 Ellijay cabin rentals offers a unique cabin getaway with a tree-house quality perched above the tree canopy with a wrap-around deck. The property has its own stocked fishing pond, nearby hiking trails, and a beautiful waterfall amidst majestic mountain views. Amenities include a flat-screen TV with satellite programming, Blu-Ray DVD player, stereo, a Foosball and hockey table, hot tub, and WiFi access. The enchanting view makes the Secret Garden Treehouse an enchanted mountain wonderland. You can stay at the Wolf Den. 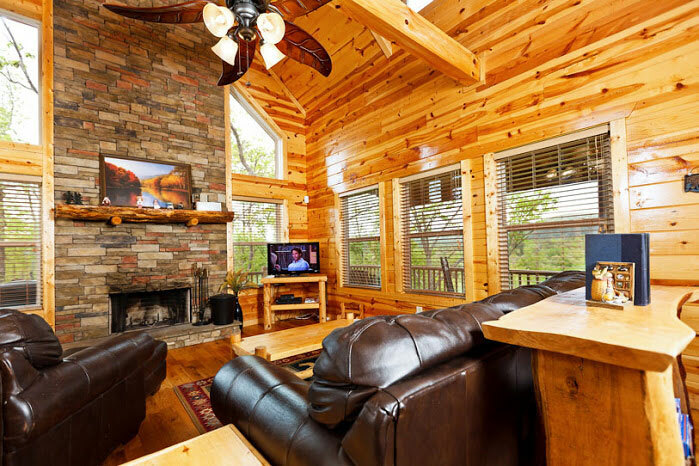 If you are seeking a private mountain cabin for a relaxing getaway the Wolf Den might be exactly what you are looking for. As part of the Talking Rock Creek Resort it is in a secure gated community with all the amenities of home including a large flat screen TV and a surround sound system that extends all the way out to the wrap-around deck. The DVD library offers an expansive selection for family movie nights. You can have breakfast on the wrap-around deck enjoying the sunrise over a mountain vista or romantic evenings by the stone hearth fireplace. In addition Talking Rock Creek and Carters Lake offer some premier trout fishing. North Georgia has some premier choice getaways in Helen and Ellijay Cabin Rentals. 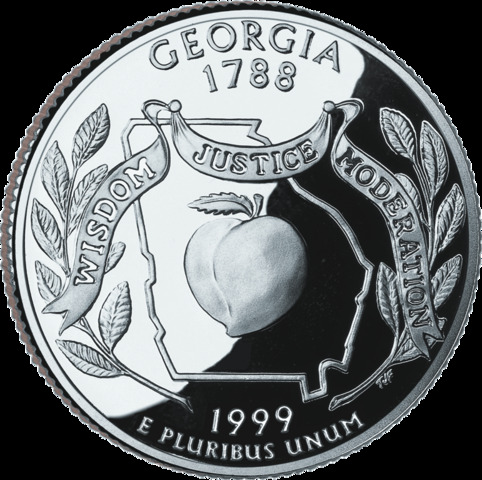 As a part of the original 13 colonies, Georgia is a state that is alive with history and diversity. As far as land goes, the Peach State is actually the most extensive state east of the Mississippi River, meaning that there are plenty of places for families to explore during a vacation or getaway. With breathtaking mountains and vast forests to the north, marshland and bayous in the south, and oceans and beaches to the east, there's no shortage of variety in Georgia. Among two of the more popular Georgia tourist destinations are Helen and Savannah. While both provide fun and exciting vacation opportunities for visitors, each location possesses its own unique merits.Which vacation hot spot is right for you? By comparing the various characteristics of Savannah and Helen, you should get a better idea as to which destination is best for your needs. 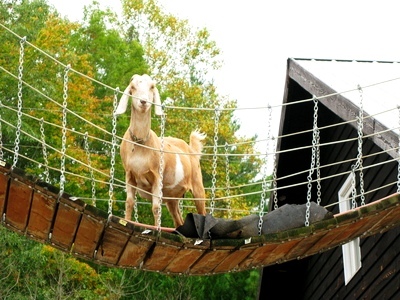 Located in mountainous northern Georgia, Helen provides an array of outdoor entertainment and adventures for vacationers. If searching for waterfalls, kayaking or tubing down the Chattahoochee River, enjoying the gorgeous canopy from a zipline, hiking, biking, fishing, or panning for gold sound appealing to you, Helen is the place to be. The city takes the mountain theme to a while new level by embracing the lifestyle and architecture of Alpine Germany. Paired with a rich Cherokee history, Helen also offers an array of cultural entertainment. 336 miles southeast of Helen, Savannah is a costal city, featuring Tybee, Wilmington, and Skidaway Islands. Those who prefer a more tropical vacation experience will enjoy lounging on the beaches, playing in the ocean, going on a dolphin-watching tour, or spending a day at Splash in the Boro water park. Savannah is also known for being the oldest city in Georgia. Because of this, travelers love to visit spots like Old Fort Jackson and the Savannah Historical District. There are multiple options for families who choose to vacation in Helen. Those who prefer a traditional hotel stay may find accommodations for $80-$150 a night. 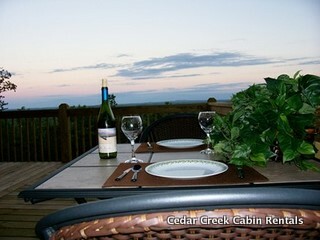 Other travelers enjoy staying in a multi-bedroom vacation rental, like those offered by Cedar Creek Cabin Rentals. Although prices will vary by the amount of rooms required, a typical stay in the cabins will cost around $300 per night plus tax. Because there are so many local attractions, driving and fuel costs should be minimal. Families should set a budget for attractions, with a good balance of free activities, and those with admissions costs. Staying in a cabin or hotel suite with a kitchen can help to save on the costs of meals. Savannah vacationers will also find themselves faced with the choice to stay in a hotel or a vacation rental. Hotel prices in Savannah are similar to those in Helen, with rates ranging from $80 to over $200 for luxury suites. Instead of cabins, many visitors to Savannah choose to stay in beach cottages which may cost from $200-$300 per night, plus tax, or historic vacation homes from companies like Stay Savannah that may cost between $200-$400 per night, plus tax. Helen is well known for is wide array of attractions and activities that are well-suited to families with children of all ages. Families can spend the day exploring state parks, geocaching, checking out local museums, riding on horseback through the Chattahoochee National Forest, learning how to fly fish, canoeing, playing mini golf, going on a carriage ride, enjoying a zipline tour, exploring gold mines, and so much more. In Savannah, families will have fun splashing in the water and building sand castles together. Maritime museums are available for exploration, there are numerous kid-friendly science centers, a fun water park, and tons of history to be explored. It's easy to visit Helen on any budget, as there are plenty of free and low cost activities to enjoy. Those looking to save money may enjoy hiking, exploring nearby trading posts like Pappy's, or checking out the fairy houses at Sleepy Hollow in nearby Blairesville. Low-cost attractions include Cool River Tubing Company, Surrey bike rentals, panning for gold, or feeding the deer at Amicalola Falls Deer Park. For those with a few extra dollars to spend, consider a horseback riding tour, hot air balloon ride, or a zipline tour. 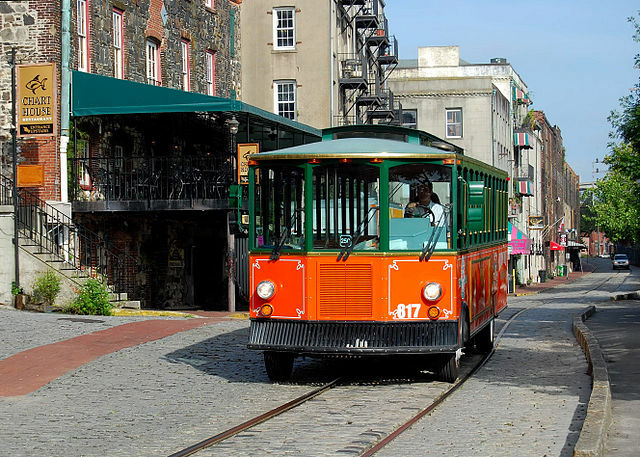 Savannah also offers an array of free to moderately-priced activities. While you may need to pay to park at the beach, you can spend the entire day on the water for just a few dollars. Free points of interest throughout the city include The Cathedral of Saint John the Baptist, Bonaventure Cemetery, and Forsyth Park. For low-cost fun, check out the Ships of the Sea Maritime Museum, go on a Hearse Ghost tour, or see Old Fort Jackson. Dolphin Magic Tours, Savannah Riverboat Tours, and Splash in the Boro are a bit more expensive, but fun, nevertheless. Even though Helen is located in the mountains, it is not difficult to reach this treasured Alpine Village. Located approximately 90 miles north of Atlanta, the journey can be accomplished from the city in just under 2 hours, via GA-400 or I-85. The city is 3 hours south of Knoxville, via the TN-68. From the west, Helen can be reached from Chattanooga TN via Highway 64 in 2.5 hours. From the east, travelers can access Helen from Greenville NC in 2 hours via I-85 and GA-17. Savannah is located approximately 250 miles southeast of Atlanta, and requires around 3.5 hours of driving on the I-75 and I-16. From the south, vacationers driving up from Jacksonville FL will travel for 2 hours on the I-95. Savannah is also 2 hours south of Charleston SC, via US-17 and I-95. 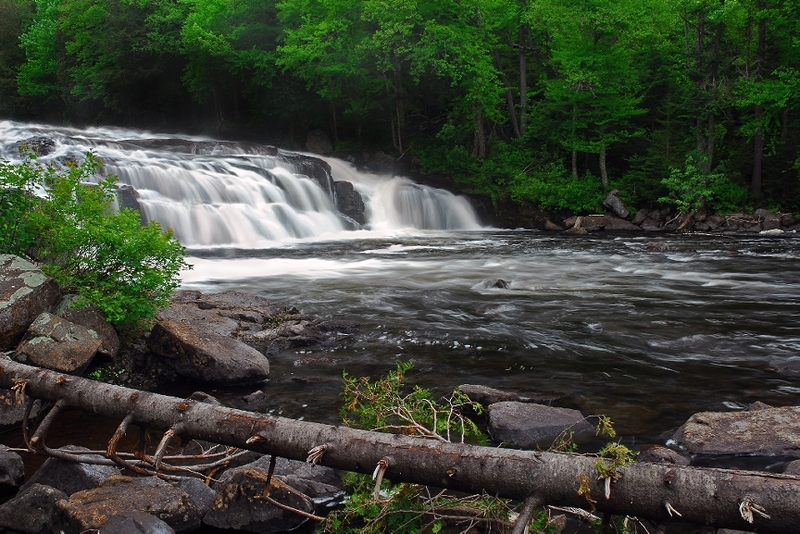 Vacationers to Helen are typically in search of some peace, quiet, and relaxation. Although hotels in the area are generally quiet, there are no guarantees about the guests in the rooms next to or above your own. Those who truly want to get away from it all will book a stay in a secluded and private cabin where only the sounds of nature will surround them each and every day. Finding peace and quiet in Savannah will greatly depend on where you choose to stay. As in Helen, hotel stays are often peaceful, but this is not absolute. Staying in one of the historic home vacation rentals in the quiet historical district is your best bet for RR. Staying in a beach cottage may appeal to some, but keep in mind that activity levels at the beach may be high during peak season, causing excess noise. In order to get the most out of your vacation experience, it is important to carefully consider all factors. By closely comparing two popular destinations, you can easily see which is the better fit for your interests, needs, desires, and budgeting restrictions. Are you a Helen family, or a Savannah family? Tell us in the comments below. Looking for more fun things to do in Helen? 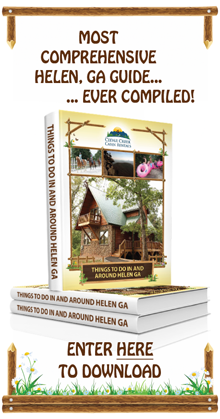 Check out our comprehensive guide that shows you tons of great activies to do in Helen. It's no secret that America's southeast offers plenty of exciting things to do and see for those who love to get up close and personal with the great outdoors. Because there are so many different opportunities, though, it can be challenging for vacationers to decide where they should go. Would you and your family have a better time exploring the area surrounding the north Georgia mountain cabins, or would your group be more suited to an excursion through the various state parks of South Carolina? Since you want to create happy, long-lasting memories with your loved ones, you want to be certain that you make the right choice. That's why it's so important to take the time to consider all of the major factors that play a role in influencing your trip. By comparing the key points of spending a vacation at both locations, you'll be better equipped to make an informed decision that will work for you and your family. The North Georgia mountain cabins - When visiting northern Georgia, a cabin rental can serve as the "home base" for all of your family's daily adventures. There are a wide range of attractions, state parks, museums, and nearby cities that are all located in close proximity to the cabins in Helen. This means that there are nearly limitless opportunities for your family to be entertained. A day trip to see Amicalola Falls (the highest cascade east of the Mississippi) is a must, and be sure to stop at Amicalola Falls Deer Park to feed the animals while you're there. You may also want to check out one of the other "7 Natural Wonders of Georgia" by visiting Tallulah Gorge State Park. Unicoi State Park is home to numerous hiking trails and the famous Anna-Ruby Falls. 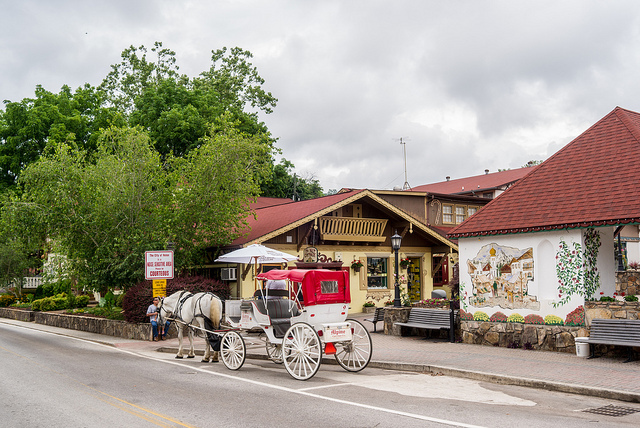 Many of the cabin's visitors enjoy tubing down the Chattahoochee River, riding horses, exploring the museums and gold mines of Dahlonega, or taking a carriage ride through the Alpine Village of Helen. The state parks of South Carolina -Because there are 47 South Carolina state parks, there are plenty of entertainment options. Based upon which specific parks you choose to visit, you may enjoy hiking, biking, fishing, swimming at the beach, Geocaching, visiting historic sites, battlefields, and museums, birding, visiting a zoo or nature center, going on ranger-led excursions, boating, etc. The North Georgia mountain cabins - Although some travelers prefer to stay in a Helen-area hotel, which might cost $60-$100 a night, many other families prefer to be able to spread out and enjoy some privacy in a cabin rental. For a typical family of four, a cabin rental with multiple bedrooms and bathrooms, a fully equipped kitchen, and a family room will cost approximately $300 per night plus taxes and other fees. Meal costs will vary, based upon the length of your trip, but you can save money by cooking in your cabin. While larger attractions may be a bit pricier, simple activities like alpine mini-golf, fishing, visiting museums, and hiking are very affordable, and sometimes free. A single day pass for a visit to a state park is $5. If you live in Georgia, or plan on visiting more than 10 parks, you'd be best served to buy an annual pass for $50. The state parks of South Carolina - When choosing your lodging in South Carolina, you'll need to determine if you want to choose a single hotel or cabin, and then make day trips to nearby state parks, or if you plan to drive around the state, staying at a different place each night. On average, your hotel stays will cost from $60-$100 per night. Select state parks offer Carolina Camper Cabins which are rustic, one room cabins with bunk beds that cost $24-$42 a night, while more modern cabins may range from $100-$250 per night, or $700 to $1750 per week. The admission to each of the state parks also varies. Some, like Hickory Knob, are free, whereas Caesar's Head is $2 per person, and Myrtle Beach is $5 per person. 7-day park entry passes are available for $35, to all but Myrtle Beach, Huntington Beach, Charles Towne Landing, Edisto Beach, and Hunting Island State Parks. A $50 7-day pass allows entry to all 47 state parks. The North Georgia mountain cabins - The cabins in northern Georgia are extremely family friendly. First, the Helen area provide an abundance of activities for all ages. There are hiking trails with varying difficulty levels, seasonal festivals and celebrations, more thrilling and challenging activities for older kids, and quiet, engaging attractions for the little ones. In addition, the cabins themselves are very accommodating to families. Kids and parents are able to enjoy the privacy of their own individual bedrooms and space, and multiple cabins can be reserved together for family reunions. The state parks of South Carolina - Many of South Carolina's state parks feature easier trails that are good for smaller kids, opportunities for fresh or salt water swimming, water sports, exploring historical sites, picnicking, and playgrounds. This makes it quite easy to plan a trip that will meet the needs of your children, while keeping the whole family interested. When little ones are accompanying you to state parks, be sure to pack snacks and a first aid kit in case of falls. In order to have as much fun as possible, don't try to cram too many activities, or activities that are too exhausting for your children. The state parks of South Carolina - Many of South Carolina's state parks feature easier trails that are good for smaller kids, opportunities for fresh or salt water swimming, water sports, exploring historical sites, picnicking, and playgrounds. This makes it quite easy to plan a trip that will meet the needs of your children, while keeping the whole family interested. When little ones are accompanying you to state parks, be sure to pack snacks and a first aid kit in case of falls. In order to have as much fun as possible, don't try to cram too many activities, or activities that are too exhausting for your children. The North Georgia mountain cabins - Whether you are hoping to plan a simple weekend getaway, or would like to embark on a full-fledged, 7-day family vacation, you'll be able to find a cabin that can accommodate your needs in northern Georgia. There is plenty in the area to do that will keep you busy during your entire trip, or you can choose to just check out the highlights during a shorter trip, and return again to explore more at a later date. The state parks of South Carolina - As with the Georgia cabins, a trip to the state parks of South Carolina can last as long as you want. State Park lodging is available for nightly or weekly reservations. The sheer volume of parks could keep your family busy for over a week, or you could just pick three major parks that you'd like to visit over a long weekend. The North Georgia mountain cabins - The cabins of Helen, GA , are located approximately 1.5 hours north of Atlanta, via the I-85 N and the I-985 N. They can be accessed from Chattanooga, TN via Highway 64 E in approximately 2.5 hours, and are just under 2 hours away from Greenville, SC o the I-85 S and GA-17 N.
The state parks of South Carolina - South Carolina's many parks are scattered throughout the state, and will involve multiple access routes. It's smart to bring a navigation system or map on your trip, to ensure efficient routes to each of the parks that you choose to visit. Which trip suits your family's style best - a stay in the north Georgia mountain cabins, or a visit to the state parks of South Carolina? 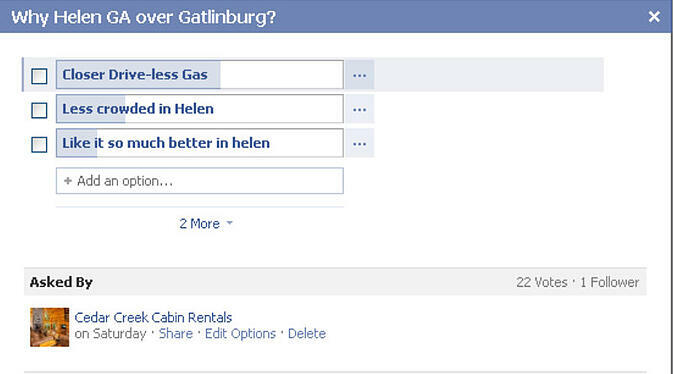 We asked our fans on our Facebook page why they preferred Helen GA over Gatlinburg and the verdict seems to point that (admittedly the sampling size is only 22) Helen GA is being chosen over Gatlinburg as a destination spot. Please don't take this the wrong way as we do love Gatlinburg folks too but if you live anywhere close or south of Georgia, let's face it, gas is getting up there and every little bit counts when times are tough. Still not sure where to go, here are more travel ideas for traveling in the Southeast. It is a total of 125 miles from Helen, GA to Gatlinburg, TN. There and back and that is 250 miles. That adds up to an extra $100 in gas alone. That surely helps pay for something or save it for another rainy day. So come join us in Helen Ga for cabin rentals and splurge a little on your loved one. AND save a ton of gas. Our fans say you'll be glad you did. We at your North Georgia cabin rentals would like to help those that are strapped right now but really want to come to the mountains by offering this FREE vacation opportunity. We hope you win. It's as easy as clicking below. We know Alabama needs a place to relax. 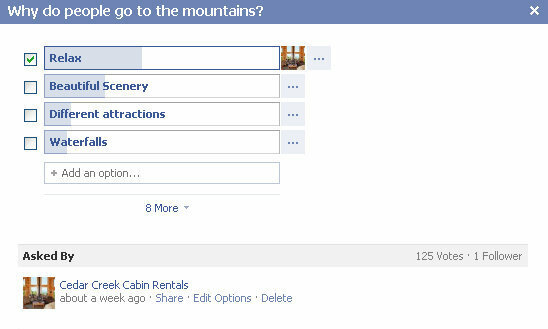 This Facebook survey on our Facebook homepage says it all. This posted question went wild. We believe the folks are clear about what the mountains provide and we wanted to give a special shout out to all of our fans for pointing out why the Cabins in Helen Gaare the ideal spot to relax, enjoy beautiful scenary, and to visit our local attractions. Here is a travel blog about Georgia we thought you would also enjoy. We all felt horrible here in Georgia for what Alabama and Mississippi went through this year for some of the worst disasters you ever faced and we wanted to extend a warm invitation for you to have a place to come to. Have you ever had one of our special Georgia peach cobbler pies? Well, we still have an extra slice waiting just for you and a whole lot more. So here you are sitting on the top of Mt. Yonah by Helen, GA. Now if this does not lower your blood pressure, I'm not sure what will or maybe the lake at Unicoi fishing with your child or grandchild. Many come over to Atlanta for business or pleasure watching sporting events or enjoying some fine Atlanta shopping but just a short 90 minutes north and you are in for relaxation and beautiful scenery. Pick out one of our luxury cabin rentals to hang out in and you are on your way to relaxing memory. So come on over Alabama and join us. We promise to provide our southern charm and a slice of pie just for you.